This week we bring you a unique 30 ct. Keurig Kcup coffee sampler pack. This is a great opportunity to try a variety of Keurig Kcup coffees and perhaps find your new favorite! The Keurig Kcup 30 ct. Sampler pack is on sale for $20.50! Now you can enjoy a huge variety of Keurig Kcups all in one box. 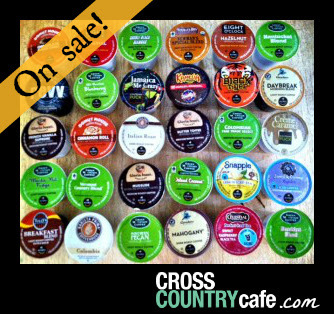 We will hand select 30 different Kcups just for you. You will receive a variety of light, medium and dark roasts, flavored, teas and extra bold Kcup coffees. Makes a perfect gift for the coffee lover in your life or a great starter pack for first time Keurig owners. Sale runs Wed. Dec. 18th thru Tues., Dec. 24th at midnight EST. Next articleWhat Do You Wear To Sleep At Night?